Windows, manufactured from vinyl represent the largest market share in the replacement window business. Windows made from high quality structural vinyl are strong and provide very good energy savings, with moderate to high R-values (a measure of resistance to heat flow). The higher the R-value, the greater the resistance and the higher their energy efficiency, which will help reduce heating and cooling costs. Vinyl windows are one of the more affordable replacement window choices. Price variations are dependent upon such factors as the glass package and sash options, as well as the style of window selected. 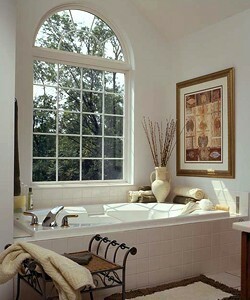 Vinyl windows can be easily customized and are available in a wide range of styles, shapes and sizes. Vinyl gives the homeowner a choice of many different colors. The color is actually part of the vinyl, making them scratch resistant. These units never need to be scraped, painted, or stained. 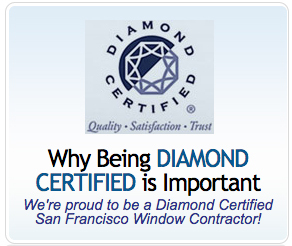 Your windows will always look great! Whether you are looking for aesthetic reasons, energy efficiency, costs, or ease of maintenance, vinyl replacement windows are an excellent choice in replacement windows.